Häxan is an early 20th century documentary about the history of witchcraft by Benjamin Christensen, who directs, writes and stars as the devil, an ominous bare-chested figure with a protruding, wiggling tongue. Häxan is based on Christensen’s research into the 15th century German text, Malleus Maleficarum otherwise known in English as ‘Hammer of [the] Witches’ a ‘how to’ guide for witch finder inquisitors. The film is split into seven chapters, the first of which gives the background story of witchcraft from ancient times starting with their idea of the universe which in itself is very interesting with a steel sky supported on giant mountains and the crystal spheres of the heavens controlled by the almighty above it. All these are illustrated with snapshots of engravings and dioramas which include fluttering tissue paper as the fiery ring around the Earth and a handy (although sometimes unnecessary) pointer that highlights everything. In the following chapters we move into medieval times, first exploring the medieval myth of witchcraft before moving to a sorceress’s house, which is as clichéd as imagined with a stooped old woman, a dogs skeleton hanging over the fire and a dwarf pottering around gathering toads and snakes and all sorts of other slimy creatures. There we follow as the witch makes potions for local women and adds various parts of recently hanged men to barrels. In the next chapter the inquisitors arrive in the town under a blanket of superstition and fear. On the death of a local man his wife, Anna played by Christensen’s wife Karen Winther, accuses an old beggar woman of putting a spell on him. Häxan then follows the ‘witches’ trial including both the mental and physical torture utilised to gain her confession. Inevitably the witch confesses and names several other women as witches and ends with Anna also accused. Unlike the old woman Anna does not confess and we see how the inquisitors gain confessions when torture fails. Following the dramatization of the witch trials, some of the torture implements are examined in closer detail giving the viewers a chilling and gruesome insight into what could have been used against them in previous centuries if they were unlucky. The final chapter draws comparisons between medieval witchcraft and modern day (well the 1920s) hysteria as a mental illness including comparisons between a pyromaniac sleepwalker and a possessed nun. Christensen draws uncomfortable parallels between the medieval torture and the mental institution. Häxan is a very brave film that inevitably caused some furore when released due to both the subject matter and the execution, including scenes of cooking un-christened babies and fornication with demons. It presents an interesting and comprehensive look at witchcraft and when viewed today provides a social commentary of how women were viewed in the 15th century and the early 20th century when this film was made. 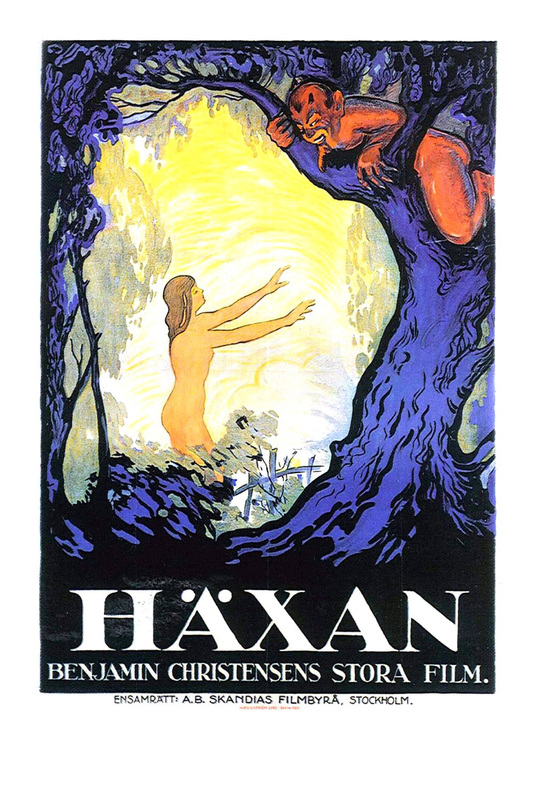 Fun Fact: Häxan was the most expensive Scandinavian silent film ever made. The Golem: How He Came into the World (or Der Golem, wie er in die Welt kam as it is known in the original German) is the third of three films directed by Paul Wegener (the preceding films being The Golem and the dancing girl and The Golem which were both lost) based on the Jewish legend of the Golem. 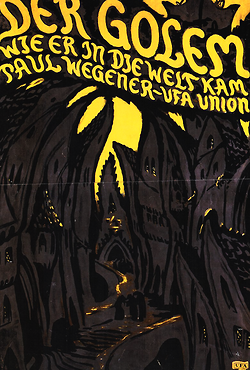 The eponymous Golem is a large man-like creature made out of clay played by the director Paul Wegener. The story is in five chapters, the first beginning with Rabbi Loew (Albert Steinrück), portrayed as a stereotypical magician, pointy hat and all, reading a coming disaster for the Jewish community in medieval Prague. The Emperor then signs a decree ordering all the Jews to move into a ghetto and Rabbi Loew starts plotting a way to save the Jewish people by creating a man out of clay. In the second chapter the message for the Jews to evacuate to the ghetto is delivered by the knight Florian (Lothar Müthel), where he meets Rabbi Loew’s beautiful daughter Miriam (Lyda Salmonova) and falls in love and the Golem is brought to life in a dramatic fire-laden ceremony by Loew and his assistant, Famulus (Ernst Deutsch). In third chapter, Rabbi Loew takes the Golem to show the Emperor at the Rose Festival and from then, a series of calamitous events occur. As with all silent films, any emotions must be expressed via facial expressions and body language. The love shown between Florian and Miriam on their first meeting is a good example of how well this is done, both of them taking deep shuddering breaths and clinging to one another, hand on hearts which I found a better expression of two people flirting and falling in love than the more modern kissing then waking up naked next to each other. The use of lighting and shadows along with the unusual shaped highly expressionist set design by Hans Poelzig gives the impression of a poor marginalised community in which the tall angular houses loom over the narrow streets, presenting blank walls with dark orifices in the form of windows. Indeed Loew’s home looks more akin to living inside a giant tree than a house, consisting of organic flowing lines and small shadowy spaces. The use of colour filters again adds to the tone of the film for example, the use of gold for the temple, green for the Rabbi’s house and blood red for the rampaging Golem. The version of the film I watched was accompanied by an excellent score with as a violin and piano duet and I feel it captured the mood and story of the film perfectly. The Golem: How He Came into the World is an amazing film and I would recommend it to anyone, both people familiar and unfamiliar with the German Expressionist movement and horror films.